Many organisms can decompose hydrogen peroxide (H2O2) enzymatically. Enzymes are globular proteins, responsible for most of the chemical activities of living organisms. They act as catalysts, substances that speed up chemical reactions without being destroyed or altered during the process. Enzymes are extremely efficient and may be used over and over again. One enzyme may catalyze thousands of reactions every second. Both the temperature and the pH at which enzymes function are extremely important. Most organisms have a preferred temperature range in which they survive, and their enzymes most likely function best within that temperature range. If the environment of the enzyme is too acidic or too basic, the enzyme may irreversibly denature, or unravel, until it no longer has the shape necessary for proper functioning. Although this reaction occurs spontaneously, enzymes increase the rate considerably. At least two different enzymes are known to catalyze this reaction: catalase, found in animals and protists, and peroxidase, found in plants. A great deal can be learned about enzymes by studying the rates of enzyme-catalyzed reactions. Use a Gas Pressure Sensor to measure the production of oxygen gas as hydrogen peroxide is destroyed by the enzyme catalase or peroxidase at various enzyme concentrations. Measure and compare the initial rates of reaction for this enzyme when different concentrations of enzyme react with H2O2. Measure the production of oxygen gas as hydrogen peroxide is destroyed by the enzyme catalase or peroxidase at various temperatures. Measure and compare the initial rates of reaction for the enzyme at each temperature. 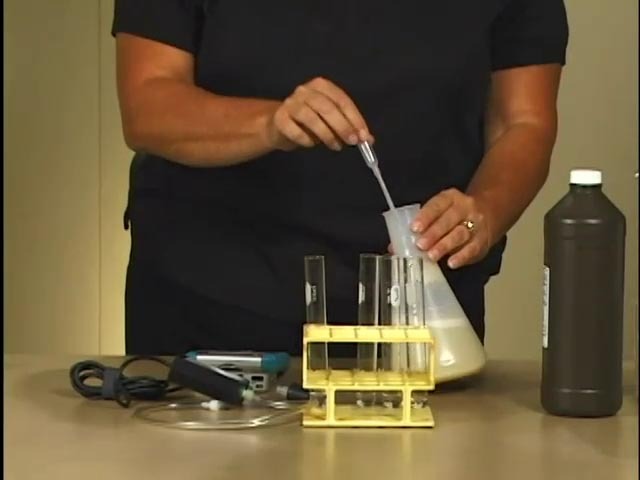 Measure the production of oxygen gas as hydrogen peroxide is destroyed by the enzyme catalase or peroxidase at various pH values. Measure and compare the initial rates of reaction for the enzyme at each pH value.